As a person living and studying in England but have been brought up in Eastern Europe I feel that the British education is often only concerned with the history and culture of the English-speaking countries. It is a shame because many other countries have shaped the modern politics, geography and culture. The Kent Paris Summer School ‘Revolutions’ surely fills the gap and enriches all the participants understanding of the revolutionary events, ideas and personas which shaped modern Europe. Over the two weeks of the summer school we had explored variety of subjects from art and literature through philosophy and history towards social sciences and biology. A group of twenty students has participated in morning lectures and in the afternoon in tours around the city and sites related to the lecture. The morning classes were taught by leading experts in their areas. The lectures, although two hours long, were very intense and full of new and exciting facts. There was a lot of space for open-minded discussions between participants and the lecturer. After the lecture we were taken for lunch, always to a different place. As the city of Paris is very diverse, so is its cuisine. He had an opportunity to try a variety of dishes from different cuisines which might not always seem French but they are a vital part of Parisian culture. He had French classics as baguettes with ham or Breton crepes, as well as Moroccan, Korean and Middle-eastern dishes. The places we visited were also not to touristy and budget-friendly which allowed us to visit them in our free time and to have an authentic culinary experience of Paris. Full from lunch we would head off to a study trip. Sometimes it was a museum, sometimes a walk around a certain area of the city, a park or a cite. Our lecturer would accompany us on the tour and fill us in on any information that we might have not mentioned in the class. We got to explore the more hidden areas of Paris, where tourists hardly ever go, and sites in which historical events took place. The tours did not end late which allowed us to explore the city on our own. We had time to integrate as a group and enjoy the splendour of the city. In our group we had representatives from all the corners of the world which made our seminar discussions and our free time especially interesting. We got to know different cultures and tradition, different perspectives on global affairs, and most importantly we all became close friends by the end of the school. 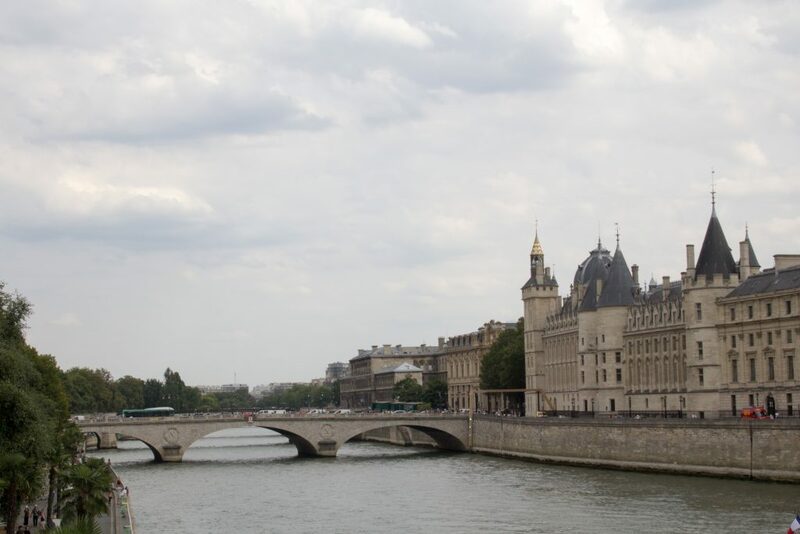 The Kent Summer School in Paris is a perfect blend between studying abroad, exploring a new city and a summer holiday. We had time to enjoy the good weather, the smells and the sites of Paris, we had all made new friends and we have enriched our academic knowledge and skills. No other summer will be the same.